A sharper slowdown is high on the list of worries at the economic retreat. George Soros warns a Cold War with the country could turn hot. For now, China’s growth is merely cooling and Beijing has ammunition left. Its Alpine promise of “modest prosperity” may be feasible. Chinese Vice President Wang Qishan attends the World Economic Forum (WEF) annual meeting in Davos, Switzerland, January 23, 2019. 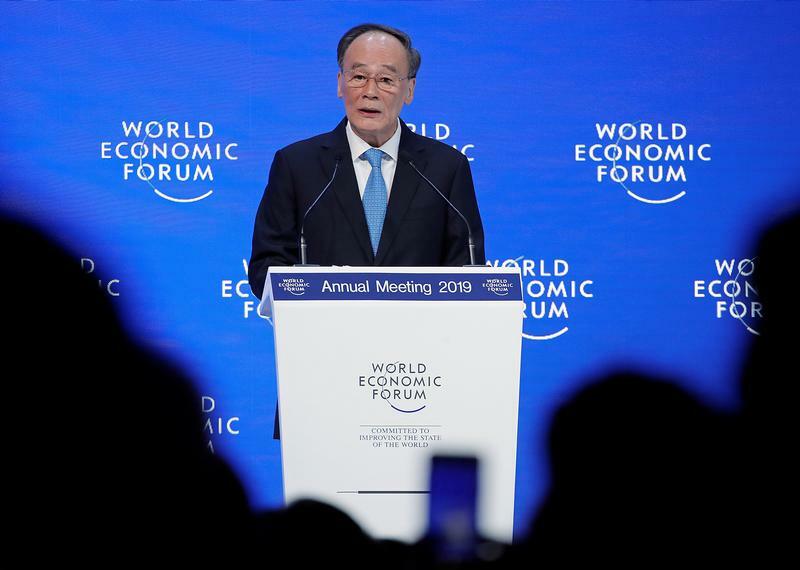 Wang Qishan, China’s vice president, told the World Economic Forum on Jan. 23 that China could maintain sustainable rates of growth despite global uncertainties. He said China can reach a target of delivering “modest prosperity” for all Chinese people by 2020.